Jackson Hole is inviting Canadian visitors to celebrate the 50th anniversary of Jackson Hole Mountain Resort with Canadian Dollars at Par. 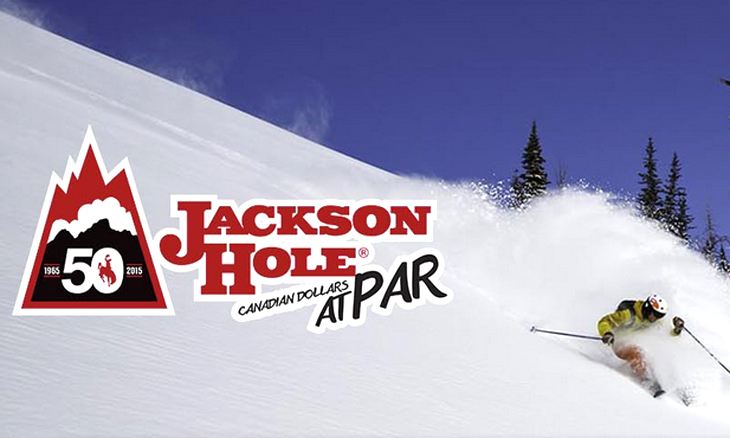 Your Canadian dollars equal US dollars in a package including lift tickets and lodging in Jackson Hole. On top of all that, you’ll receive a $200 or $300 air credit per person on qualifying packages. This is the deal you have been waiting for to experience Jackson Hole’s legendary skiing and riding. For more information, restrictions and offer details, check the Jackson Hole website here. Watch videos celebrating Jackson Hole’s 50th Anniversary.